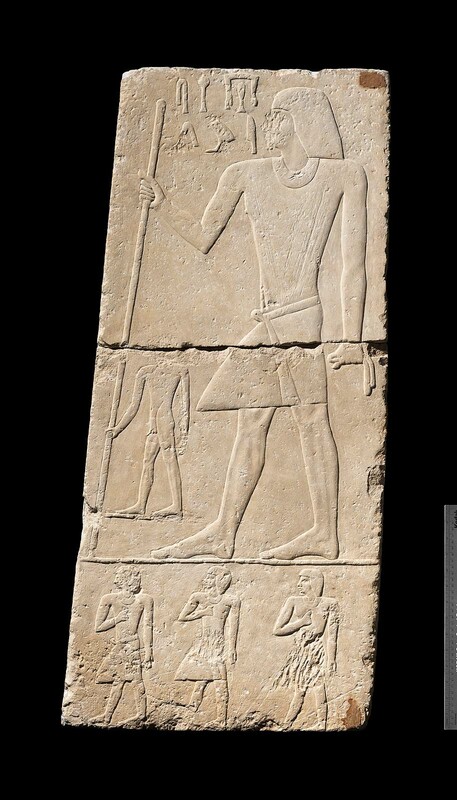 This fragment of door jamb in fine, raised relief is the top half of the scene depicting the Inspector of Funerary Priests, Iuwy, striding and facing left, and the figure of a child grasping his staff. Hieroglyphs in front of his face state his title. This piece joins 30.206.2. From Giza, G 7690 K. March 1928: excavated by the Harvard University–Museum of Fine Arts Expedition; assigned to the MFA by the government of Egypt.